Founded in 1996 as the 13th WINMAR® franchise, WINMAR® Owen Sound services all parts of Grey and Bruce Counties. WINMAR® Owen Sound is based within 1.25 hours of all locales in its operating region. We take an initial claim assignment through to scope, estimate, emergency response, and restoration via a streamlined process. We regularly receive strong commendations from our customers regarding our workmanship, professionalism, and ability to meet milestones. WINMAR® Owen Sound is regularly touted as having one of the quickest response times on after-hours emergencies across Ontario. Emergency response includes stabilizing the environment around your property and installing necessary equipment to prevent further damage. In addition to our core emergency and restoration services, WINMAR® Owen Sound provides additional contractor services across our entire customer base. Whether it be restoring a finished basement, rebuilding a backyard deck, or repairing an entire home, we have the expertise in loss assessment, estimating, and general contracting as well as the internal capabilities to handle all types of restoration needs. Planning in advance of a potential disaster is a prudent approach to business planning. 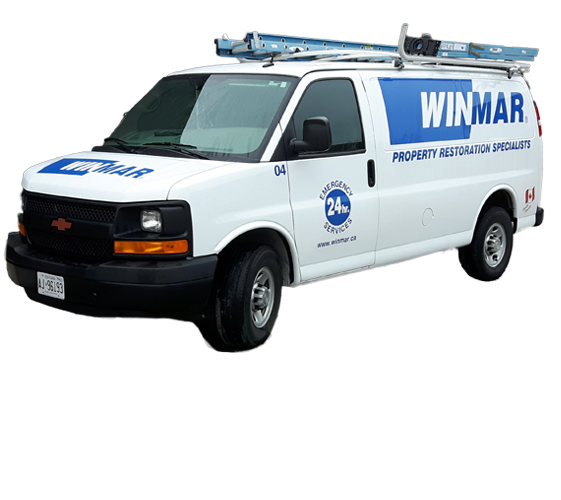 WINMAR® Owen Sound is a leading Southwestern Ontario-based, IICRC-certified, full service property damage restoration company specializing in water, fire, wind, contents, and mould damage. Great quality work, staff was very professional. Thank you WINMAR® Owen Sound. I am pleased with WINMAR® Owen Sound's attention to detail – both in the emergency cleanup and later in the repair – re–carpet – repaint. Thank you. Work was completed quickly and we were pleased with the result. Great bunch of guys– the owner was here twice, nice to see that – and very accommodating. Job well done. Would recommend WINMAR® Owen Sound to other clients.